Archangel Chamuel's name comes from the verb lenachem in Hebrew, which means comfort and compassion. Another interpretation of the name Chamuel is 'He who sees God'. I imagine that what Archangel Chamuel sees is really the aspect of God that is love because he is the archangel of the pink ray of divine love. His archeia goes by the name of Charity. I wonder if this is why the word 'charity' means love? Together they have an etheric retreat above St Louis, Missouri in the USA. What do Angels of Love Look Like? They look like they are clothed in gossamer pink robes but in fact it is the layers of pink light that people see. I must say that I don't recall seeing an angel but I used to know a little girl who could. She revealed that she could see angels one Christmas when I was reading a story. I was surprised and asked her why she had not told me before. She said 'I thought everyone could see them so there was nothing to tell'. She thought it was just that people didn't talk about them. What does Archangel Chamuel Do? Anyway, as all archangels do, Chamuel and Charity have their specialties, their role or job for God. These include love, compassion, mercy, creativity and forgiveness. If you ask Chamuel he will help you with dissolving feelings of selfishness, self-dislike, self-condemnation and low self-esteem. He will even help you prepare to receive the Holy Spirit. 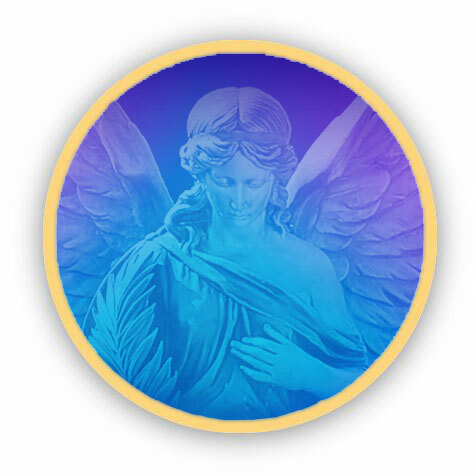 Archangel Chamuel is very useful in helping with relationships, finding new friends, repairing damaged relationships and generally getting along with others. You can ask him for protection against malice, slander and misunderstanding. You can even ask for help in finding things like a job, lost objects or a parking place. I often ask for help in finding things I have mislaid. After I have said something like "Archangel Chamuel, please help me find [whatever it is I've lost]", my eyes are often drawn to the object, or I decide to look under the very thing that is hiding it. When you are concerned about ethnic and racial tension in your neighborhood or around the world, Chamuel is just waiting for your call to saturate the area with love. Love, of course, is often gentle - think of the tender love of a mother. However, it can also be fierce. Chamuel puts on his ruby ray armor to fight the forces of anti-love. These forces can manifest as cruelty, hatred, addictions, depression and compulsive behavior. When you feel yourself gripped by a desire to have nicotine or when your self-esteem is low, you can give a powerful fiat to Chamuel and his angels of love. "In the name of God, I AM THAT I AM, in the name of Archangel Chamuel: Be gone forces of anti-love!" You can repeat the part "Be gone forces of anti-love!" several times, maybe nine times or more. Chamuel is a wiz at improving communications between people. So if you are concerned about having a successful meeting, or your children are squabbling, or you're not getting along with someone, try asking for help in your daily prayers. I know my day runs much smoother when I have asked for help in the morning. You can find more information on these wonderful archangels over here.